The Climate Reality Project does not point fingers or assign blame to any single person. “Climate change is not your fault for the car you drive, the lights you turn on, or the food you eat,” the project’s website explains. Instead, the project is an effort to find realistic, systemic and innovative solutions to a crisis we all share as humanity. One way you can be a part of this day and this worldwide effort is to dedicate your personal and professional social media outlets to the cause. Although it’s a small gesture, simply posting messages on Facebook and Twitter can inform your family, friends and colleagues of the realities of climate change. You can “attend” The Climate Reality Project event on Facebook, follow the project on Twitter, and share the website with your network, or you can contribute to the discussion by using the hashtags #Reality and #[your country] while calling out evidence of climate change. You can even create your own public service announcement or submit a video on the topic to get the attention of a global audience. Read the Climate Reality Project’s online toolkit to learn of other ways to get involved. Climate change is a tragic reality of our generation and one that will not easily go away. Shutting off the messages or denying the evidence will not make climate change any less realistic. On the other hand, we cannot allow ourselves to get overwhelmed by the urgency of climate change and fail to act. As the official blog of EMBARQ, TheCityFix works to communicate transportation’s effects on climate every day. As EMBARQ works to improve transport options around the world, it also aims to make our planet a healthier and happier place to live, which is why we find the work of The Climate Reality Project inspirational. Please join us in spreading this message. Let’s work together to make a difference! 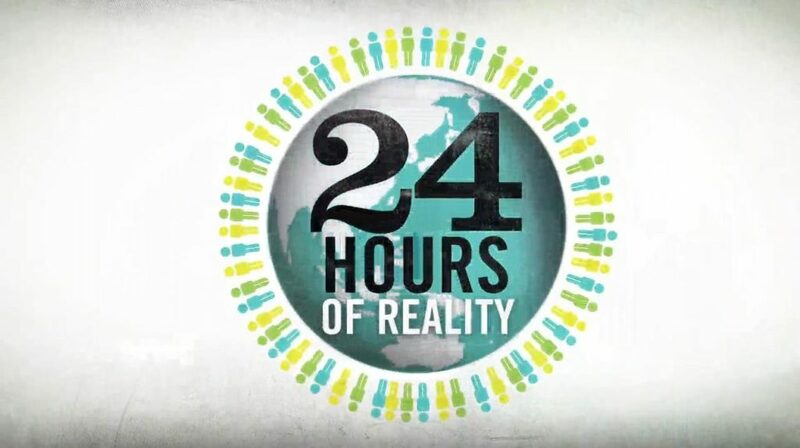 Visit the Climate Reality Project on Twitter, Facebook and YouTube.